Super-fresh feature alert for Popup Maker users! We’re excited to present you the ultimate “sales booster” tool for your website. Let’s check all the details about this super tool! 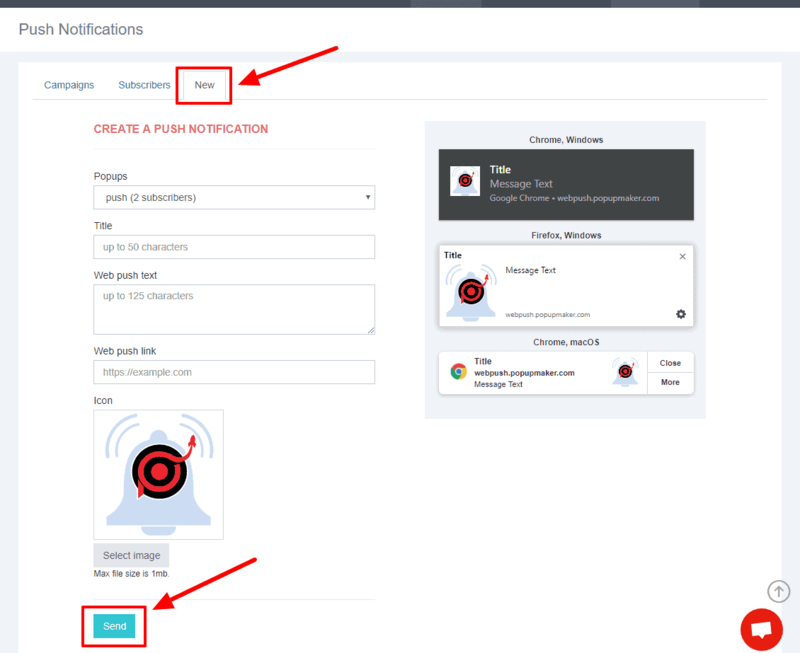 Increase the conversion rates on your website with automated web push notifications. Web push notifications do not store any personal information from your customers. These clickable notifications with an engaging short message will allow you to show targeting offers to your customers and convert them on live basis. Display an enticing offer through the web push notification window and make your offers more audible building a solid connection with your customers. Bring users back to your website/online store showing enticing offers on their browsers. 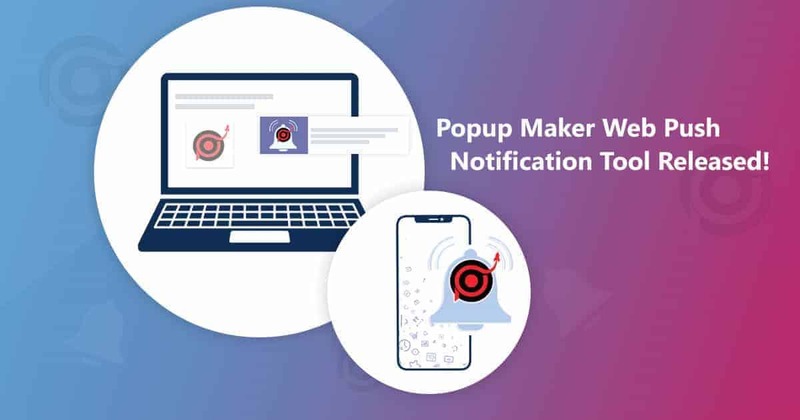 Simply create a beautiful popup once offering them to allow sending push notifications to them and that’s it! As soon as they click “allow” you’ll be able to send them various notification offers whenever you wish. Inform them about your new collection, sales, or whatever you wish! It’s so easy to keep the connection with web push notifications. First of all, you need to know what web push notifications really are. These are pop up notification windows, containing any content you wish, which appear in the browsers of the users who allow to receive them from you. You can show any message you wish in these windows. Let’s see how they are created and processed. First of all, you should have a popup with a button to show to the users so they can allow you to send them push notifications. The button behavior should be selected “Push” to connect it with the webpush notifications option. Inform them via the button popup that you have a lot of cool stuff that you’d like to share with them periodically. Then ask the to allow you to send push notifications to them. The users click on the button in this popup, and when they “allow” you to send notifications to them, they are added to your list of web push. You can see the subscribers in the “Subscribers” section of your Web Push options. 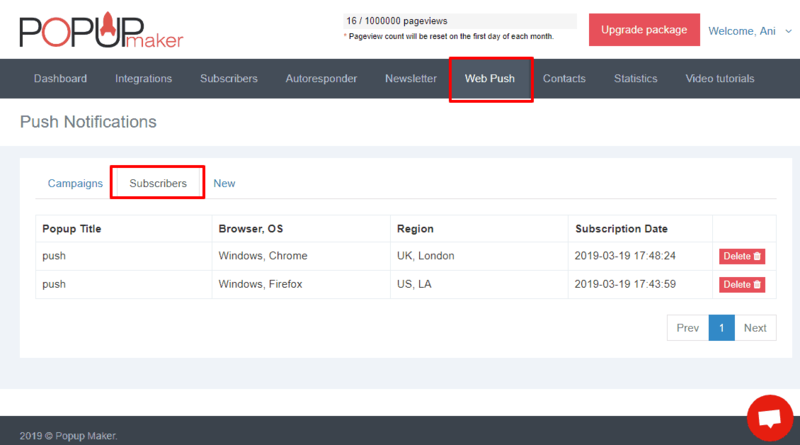 Now that you have subscribers in your list, you can create a new Web Push Notification and send it to the subscribers in your list. You can add the Title, the Text, a link to redirect, and an Image in your webpush notification message. As soon as you’re done with the settings, click “Send” and the subscribers will receive the notification in their browsers. You can see the view on different browsers on the right side of your screen. Ready to start your perfect Popup Maker web push campaign? Go ahead and don’t waste any second!